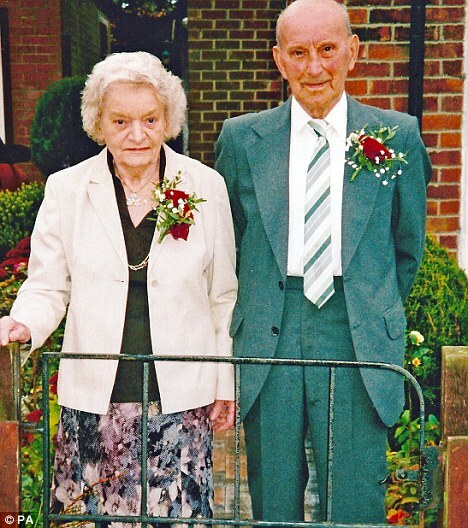 They had been utterly devoted to each other in a marriage that lasted 70 years. And last week Elizabeth Noble, 92, died just three days after her husband Fred, who passed away peacefully in his sleep on December 4, aged 96. 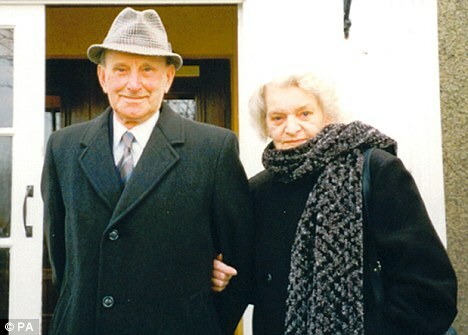 The couple, who lived in Wingate, County Durham, had been inseparable throughout their marriage and kept every note, birthday card and Valentine's wish they had ever sent each other. Their family, while saddened by the loss, were comforted by the fact they were not apart for long. On Wednesday they will all gather for the couple's joint funeral where Dame Vera Lynn's classic We'll Meet Again will be played. 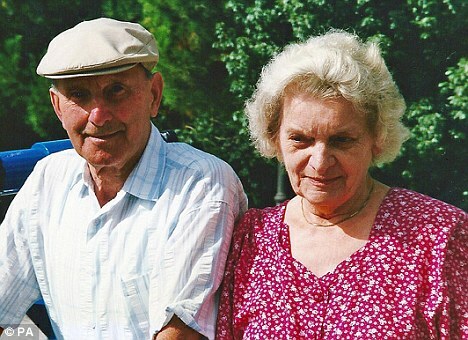 Mr and Mrs Noble had met in 1936. Mr Noble proposed soon after but was then sent abroad with the Royal Tank Corps. 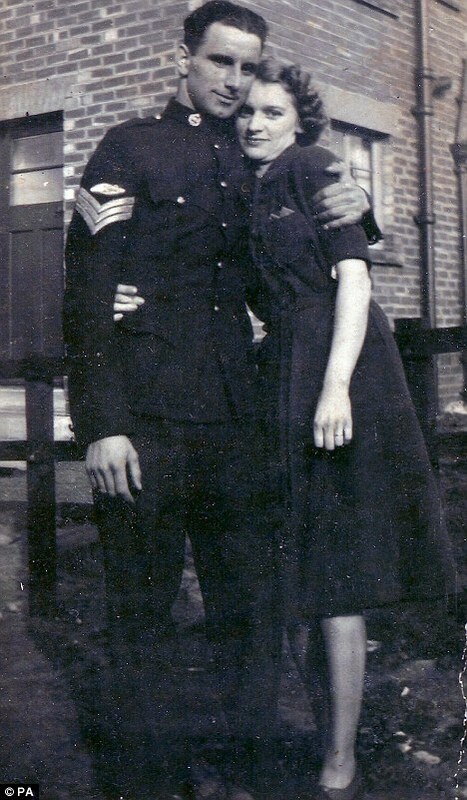 He sent a note saying: 'Cheerio, til we meet again' and it wasn't until New Year's Day 1940 that they were able to marry during a 48-hour period of leave. While Mr Noble served in Afghanistan, India, Burma, the former Ceylon and France, his wife was nursing injured servicemen with the fear that her husband could be similarly hurt or killed. But he returned safely and after the Army became a miner, progressing to be a colliery overseer. The couple had two daughters Yvonne and Denise, four grandchildren and four great-grandchildren. Grandson Dr Andrew Rowland, a consultant in paediatric emergency medicine, said: 'They had a loving and very caring relationship. 'They were always together and they lived for each other and for their family. 'They were very traditional and private but having been through some of their papers we can see they cared for each other incredibly. 'They kept Christmas, birthday and Valentine's Day cards to each other that they sent over the years. 'Having got to the age of 96 and 92, and having been so happily married for nearly 71 years, we think it is quite fitting an end for them to go so closely together. The couple received letters from the Queen, the Prime Minister and Tony Blair, their former MP, on their platinum wedding anniversary.